Dominique Gonzalez-Foerster with Joi Bittle, Cosmorama, 2018, mixed media, 9' 10“ × 26' 3”. Photo: Nicholas Knight. 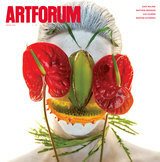 Dominique Gonzalez-Foerster’s “Martian Dreams Ensemble” is the artist’s latest attempt to meld art with science fiction. 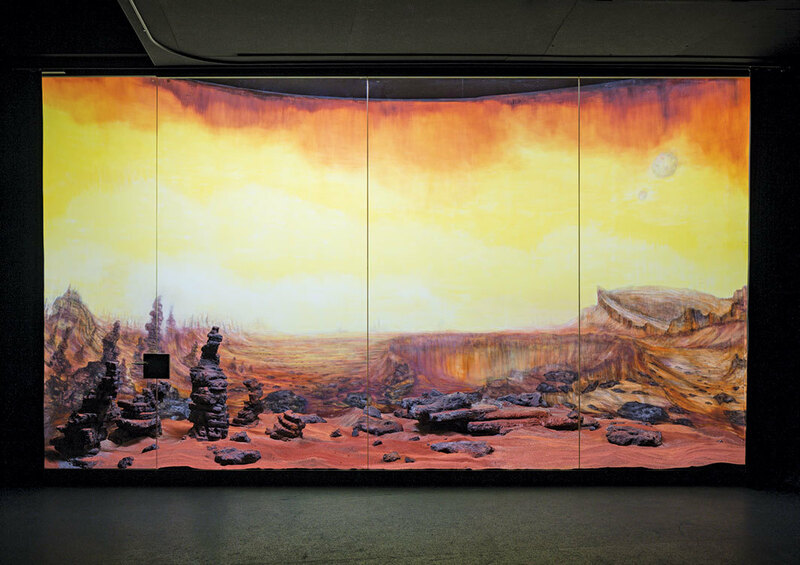 Taking Ray Bradbury’s The Martian Chronicles (1950) and The Illustrated Man (1951) as sources of inspiration, Gonzalez-Foerster treats the red planet as an object of thought, while once again underscoring her desire to create immersive experiences. The artist produced the show, curated by Julia Schäfer, together with the ensemble of its title: a team comprising a graphic artist, a musician, an architect, and a diorama designerMarie Proyart, Julien Perez, Martial Galfione, and Joi Bittle, respectively.